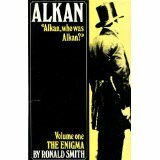 Alkan – Who was Alkan? 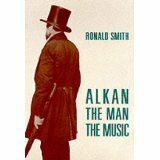 So begins one of Alkan’s obituaries, written in 1888, and the quote, from Le Ménéstrel, also opens the first of Ronald Smith‘s books on the composer: Alkan – the Enigma (published Kahn & Averill). 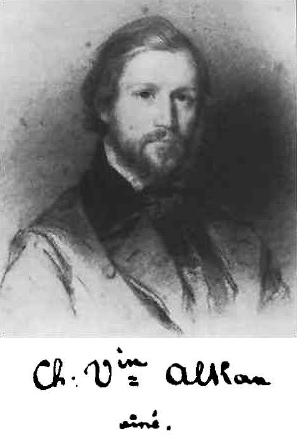 Compared with those of Verdi and Wagner, one could almost think that Alkan’s bicentenary this year seems to have been largely forgotten. Thus it ever was – a semi-recluse, his music faded into obscurity after his death, until the late twentieth century revival by Raymond Lewenthal in the USA and Ronald Smith in the UK began to bring Alkan’s music to public awareness – and that’s how I came across Alkan, via Ronald’s recitals in Australia. So, where to start with Alkan? For a good overall view – start here for biographical details and a list of works. Where to start playing Alkan – well, it depends. For advanced pianists looking for a challenge, I would recommend the Sonatine Op 61. -and ‘Le Tambour bat aux champs‘ bristles with menace. and IMSLP is well stocked. Performing Alkan is quite a responsibility, as it may be a first encounter for many in the audience. The large-scale works such as the Concerto for Solo Piano demand a first-class technique, a sense of structure and incredible stamina; introducing the themes to the audience first is a good way to enable new listeners to find their way in, or via good programme notes, perhaps with musical examples. 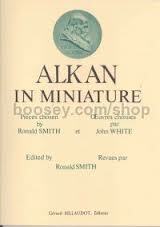 And for books about Alkan – Ronald Smith’s two volumes are authoritative, as well as highly readable. Copies are available on Amazon. This entry was posted in Death in Venice - and Alkan and tagged Alkan, Charles-Valentin Alkan, Jack Gibbons, Raymond Lewenthal, Ronald Smith, Stephanie McCallum. Bookmark the permalink. 3 Responses to Alkan – Who was Alkan? Wow – thanks for the introduction! I must admit I’m not familiar with Alkan or his music. I love stumbling across things like this online. You learn something new every day – thanks for posting! Yes, a very good introduction to this strange and shadowy figure. I heard Jack Gibbons recording of the Concerto for Solo Piano (a typical Alkan notion) and was blown away. Definitely worth exploring.